Be happy with Bossini’s sweet 50% off (min. 2pcs) deal this long weekend! 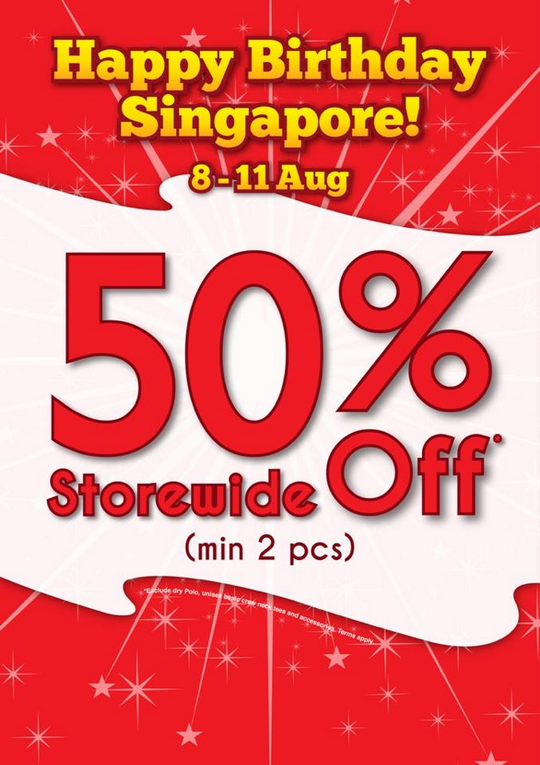 Valid from 8 – 11 August 2013.